At Rowan Park School, we are committed to supporting the emotional health and well-being of our pupils and staff. We take the view that positive mental health is everybody’s business and that we all have a role to play. Pupils in school have been taking part in well-being friendship sessions. Within the session we focus on building pupils' self-esteem and understanding of emotions. 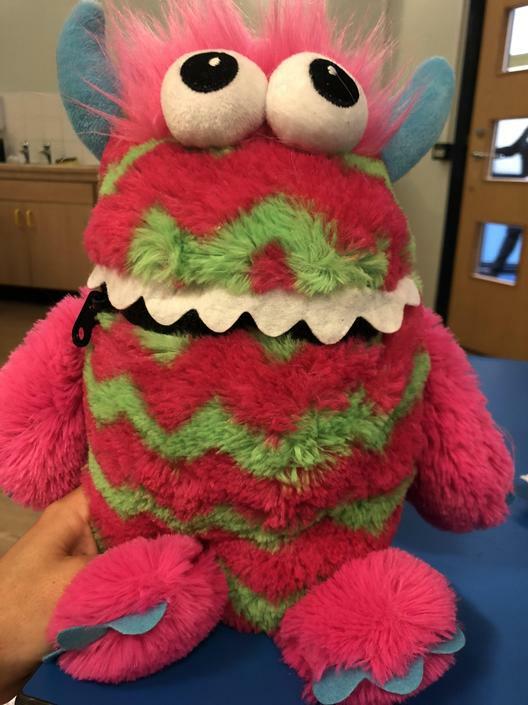 We use 'Sparky' the Worry Monster to help us in sessions! Within this session the pupils have been introduced to mindfulness sessions where the pupils look at breathing techniques and their environment around them. We play calming music and use the yoga mats and breathing ball to help us! We made affirmation bracelets for our friends. Dee Class made a cake to give to another class.